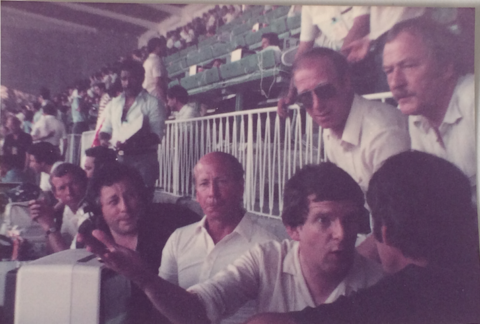 Pebble Mill producer Jim Dumighan, on the left, working on the World Cup. Bobby Charlton in the centre, with Jack Charlton to the right. Commentator John Motson arguing with someone in the foreground.